In this post, I am going to explain how to find the size of a subsite in a site collection. We don't have any direct powershell command to get the size of sub sites, the Get-SPSite cmdlet returns storage size only for site collection not for sub sites. 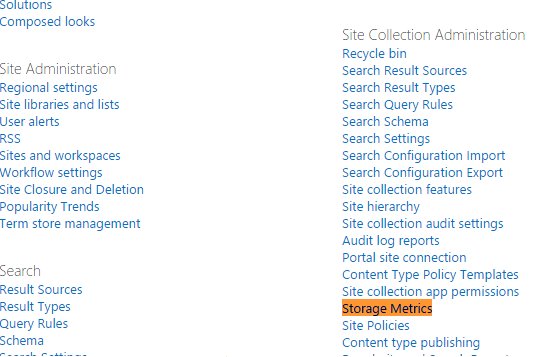 We can easily find the size of sub sites in Storage Metrics report under Site Collection Administration section. 1. Connect Site Collection home page. 2. Click Settings (gear-icon) on top-left of the page. 4. Now, you can see the storage reports with sub-sites.